A Boy Scout listens to instruction at Camp Maple Dell in Utah. "Communities and state laws are now interpreting gender identity differently than society did in the past," Surbaugh said, "and these new laws vary widely from state to state. "Starting today we will accept registration in our Scouting programs based on the gender identity provided on an individual's application," said Surbaugh. But Surbaugh also seemed to anticipate that the policy change will be met with more than a little skepticism in some areas of the country. 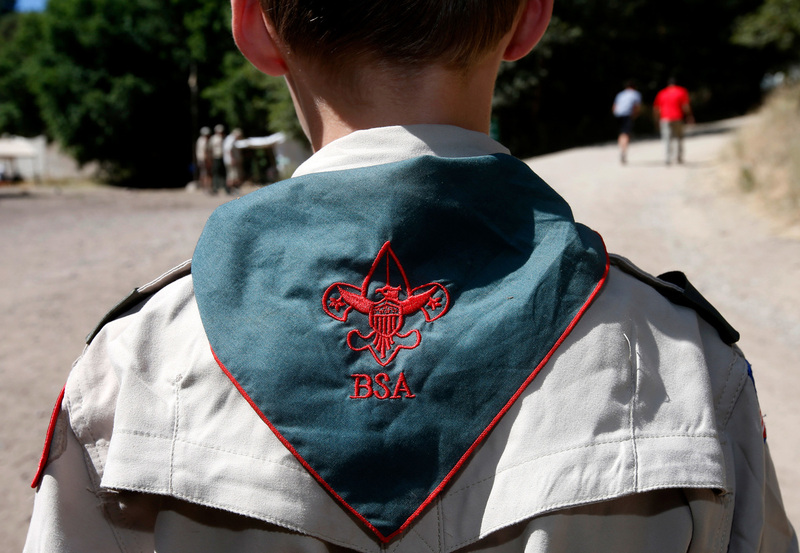 "We will also continue to work with families to find Scouting units that are the best fit for their children," he said. The policy change comes after the Scout leadership was confronted by the case of 8-year-old Joe Maldonado of Secaucus, New Jersey. He had joined a Cub Scout troop last fall, but then was forced out after parents and local leaders discovered that he had been born a girl. That publicity wasn't good. "They saw the public reaction. They saw the harm that this caused for this child, for this family," said Justin Wilson, the executive director of Scouts for Equality, a group of Eagle Scouts, former Scouts, parents and volunteers who oppose discrimination within the group. "And they saw that it was a distraction from doing what they do best, which is serving the Scouting programs. In response to that relatively short discussion they made this historic change," said Wilson. Wilson said the speed with which the Boy Scouts announced its decision stands in sharp contrast to the 37-year battle for the inclusion of lesbian, gay and bi-sexual Scouts, employees and troop leaders. As for Joe Maldonado, his mother, Kristi, told the Associated Press that she would like for her son to re-join the Scouts, but only if the leader who kicked him out leaves.